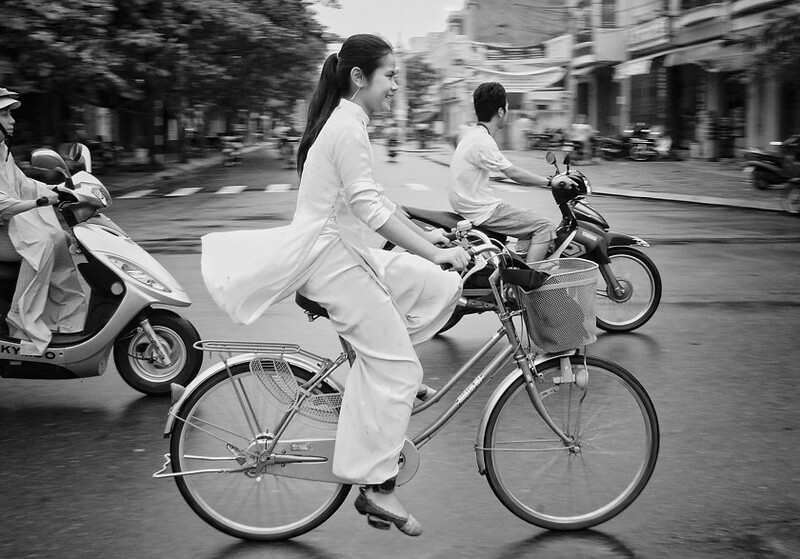 i photographed a series of student-cyclists in vietnam, at least one of which i posted here before. this is a black and white version of yet another merry student cycling back to class. it's amazing how these girls keep their uniforms angelical white, even in the rain!